By Henry Bodkin, David Millward, Josie Ensor, July 17, 2016. The Telegraph UK. President Erdogan emerged on Saturday evening to address supporters who rallied near his home in Istanbul (Photo: MURAD SEZER / REUTERS). 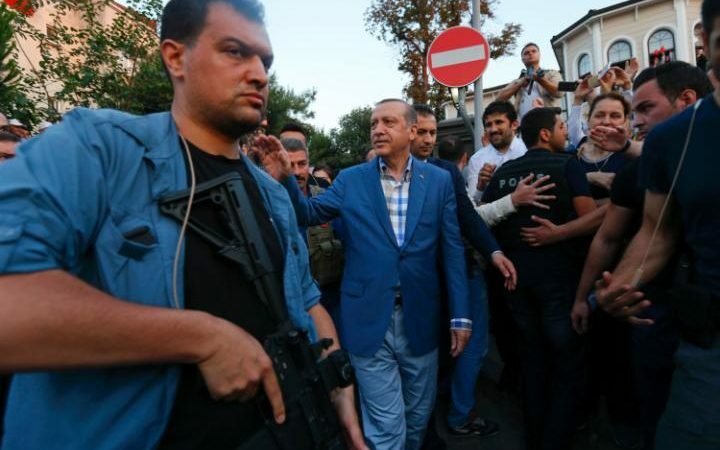 Sources have confirmed that the countries counter-terrorism chief has been critically injured after being shot in the head by coup plotters, as authorities round up more than 6,000 people in Erdogan’s ruthless crackdown. The Telegraph in UK reports: Turkish authorities have continued their crackdown in the aftermath of an attempted coup, with more than 6,000 people detained as President Recep Tayyip Erdogan’s revenge mission raises fears for the future of democracy in the region. On Saturday night, thousands of supporters poured onto the streets of Istanbul, Ankara and Izmir to demonstrate their loyalty to Mr Erdogan after a tumultuous 24 hours. 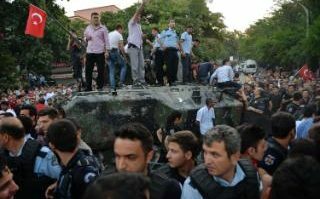 Turkish authorities on Sunday announced 6,000 people including generals had been detained in the aftermath. “The clean-up operations are continuing,” Justice Minister Bekir Bozdag said. 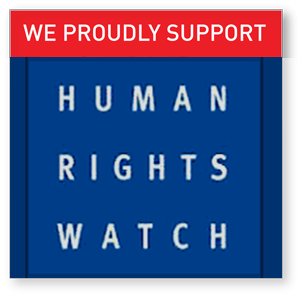 Arrest warrants were issued for 2,745 judges in what was widely expected to mark the start of a purge of opposition forces. “They will pay a heavy price for this,” he warned, calling for the death penalty to be reintroduced. “This uprising is a gift from God to us because this will be a reason to cleanse our army,” the president said in response to the bloodiest challenge to his 13-year-rule. After a night when Turkey’s democracy appeared to hang by a thread, Western and Middle Eastern leaders offered vocal support for the country’s democratic institutions. However, senior Western diplomats were privately voicing fears that Mr Erdogan would use the coup to entrench his powers. People stand and celebrate on an army tank after taking over a military position on the Bosphorus bridge in Istanbul on July 16, 2016. (Photo: BULENT KILIC/ AFP). The source added that keeping Turkey on a democratic track would top the agenda at Sunday’s meeting of EU foreign ministers, who have been relying on the country to stem the flow of migrants into Europe since signing a deal with Ankara last year. Some 104 plotters were killed in clashes, while 161 others fell as “martyrs”, the government said. The coup was defeated with the aid of tens of thousands of Mr Erdogan’s supporters who poured on to the streets after he flew back to Istanbul in the middle of the night, using a hastily arranged press conference to urge them to take back control. 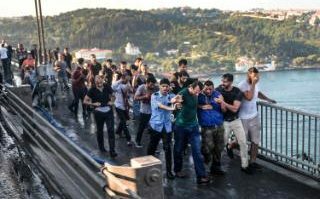 By the time the last plotters surrendered on the Bosphorus bridge, the crowds had descended on the disarmed rebels, beating them with clubs and humiliating the failed soldiers as they cowered on the ground. Turkish authorities named Akin Ozturk, a former air force commander, as one of the “masterminds of the coup” alongside two army generals, Adem Huduti and Avni Angun. 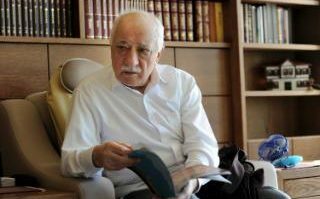 Turkish authorities are demanding that the US extradites Fethullah Güen, an Islamic cleric who they accuse of leading the coup attempt. (Photo: REUTERS). Up to 50,000 British holidaymakers were in the country during the attempted coup. Many of them looked for ways to return home after Istanbul’s main airport was temporarily shut and flights cancelled. Flights have resumed, with Turkish Airlines operating a full timetable and British Airways running a reduced schedule. Thomas Cook, meanwhile, which takes tourists to coastal resorts several hundred miles away from where the failed coup took place, said it was operating a full holiday programme. The rebel army faction – which calls itself the Peace Council and denounced Mr Erdogan’s increasingly non-secular and autocratic approach – said it was trying to overthrow the government to “protect human rights”. Mr Erdogan, caught by surprise as he enjoyed a holiday in the south, was quick to blame his old foe Fethullah Gülen, a Muslim cleric, and former ally, living in exile in the US. Mr Gülen’s followers were known to have a strong presence in Turkey’s police and judiciary, but less so in the military. The cleric, however, condemned the attempted coup and said he had played no part in it, but Mr Erdogan demanded his US allies hand him over for questioning. 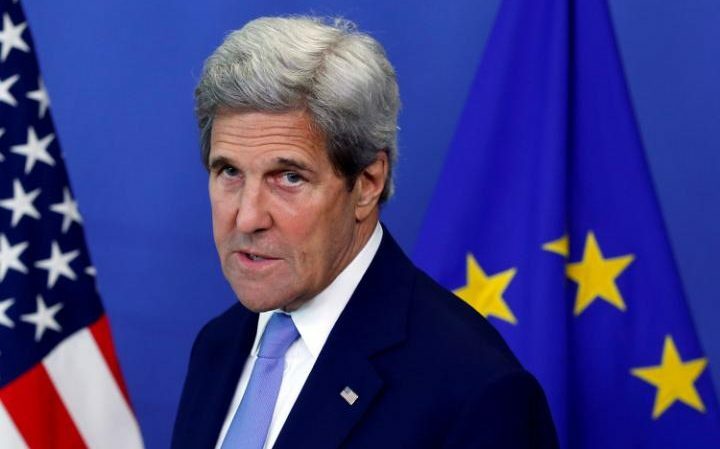 However, there were signs of tension between Mr Erdogan and Washington, with John Kerry, the US Secretary of State, angrily denying allegations that the US had backed the coup. By Saturday morning, all symbols of the coup had been dismantled or hijacked by government supporters. 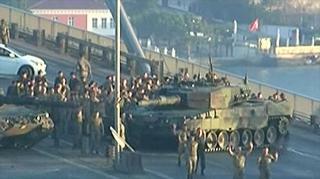 Some stood on top of an abandoned armoured vehicle in the middle of the main highway into Istanbul. “Erdogan, Erdogan, he will never fail us,” they shouted into the windows of cars driving past. The US-led coalition against the Islamic State (IS) group has resumed air strikes from a Turkish air base that were suspended after a failed military coup d’etat, the Pentagon said on Sunday, AFP reports. “After close coordination with our Turkish allies, they have reopened their airspace to military aircraft,” Pentagon spokesman Peter Cook said in a statement. “As a result, counter-ISIL coalition air operations at all air bases in Turkey have resumed,” he added, using an acronym for the IS group. Ankara suspects Incirlik was used to refuel military aircraft “hijacked” by the coup plotters and used to fly over cities across Turkey in a show of force. 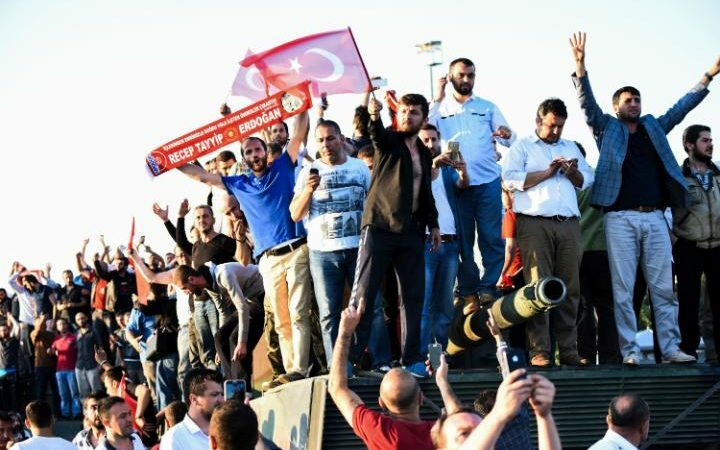 People gather and some stand atop of a Turkish army, armoured vehicle. (Photo: STP). 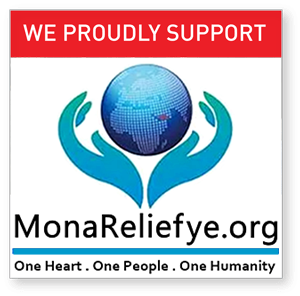 Some have speculated that the base may be held “hostage” by Ankara as a bargaining chip ahead of demands for the extradition of Mr Erdogan’s arch enemy, Fethullah Gulen, currently a resident of the state of Pennsylvania. The Foreign Office says in a statement: “We are concerned by events over the weekend in Turkey. Our Embassy continues to monitor the situation closely. “While the situation appears to have calmed the security environment remains potentially volatile. We are advising British nationals to monitor our travel advice and to check with their airline or tour operator before travelling. 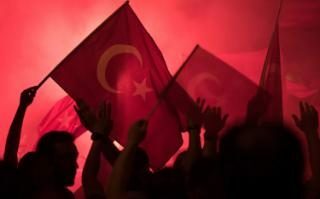 People shout slogans and hold Turkish national flags during a demonstration. (Photo: MARIUS BECKER). 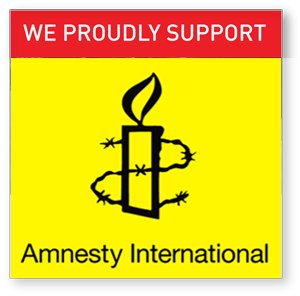 “British nationals requiring assistance in Turkey can contact the Foreign Office on 0207 008 0000. “We have urged calm, the avoidance of any further bloodshed and support for the democratic institutions of Turkey, a message that the Foreign Secretary relayed to the Turkish Foreign Minister yesterday (Saturday). “The clean-up operations are continuing,” Justice Minister Bekir Bozdag was quoted as saying by the state-run Anadolu news agency. A Turkish soldier, in blue, is apprehended after the coup attempt. After facing down the bloodiest challenge to his 13-year rule, Erdogan triumphantly addressed flag-waving supporters in Istanbul following Friday’s chaos in the strategic NATO member of 80 million people. Thousands packed into Ankara’s Kizilat Square, the heart of Istanbul and the coastal city of Izmir at a series of rallies across the country. US airlines ace currently banned from flying to or from Ankara and Istanbul as have all inbound flights from Turkey – both direct and indirect. The United States was quick to denounce the military revolt in its NATO ally Turkey and to express support for President Recep Tayyip Erdogan’s elected government. John Kerry. (Photo: FRANCOIS LENOIR). “He made clear that the United States would be willing to provide assistance to Turkish authorities conducting this investigation, but that public insinuations or claims about any role by the United States in the failed coup attempt are utterly false and harmful to our bilateral relations,” Kirby said of Kerry’s call to Cavusoglu. Earlier, Turkey’s labour minister Suleyman Soylu had reportedly suggested the United States was behind the revolt, which triggered fighting that left at least 265 dead. The Telegraph UK: Turkey coup attempt: Counterterrorism chief critically injured after being shot in the head by coup plotters, as authorities round up more than 6,000 in ruthless crackdown. 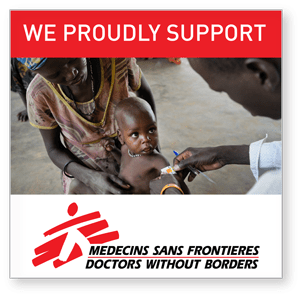 We welcome comments and conversations. Scroll down page to use the comment box.